Hello, I’m Cory Wanatick. I grew up in Queens, NY and attended college at CUNY at Queens College. I then attended dental school at the University of Medicine and Dentistry of New Jersey, completing my degree in 1990. After that, I completed a general practice residency from Long Island Jewish Hospital in 1991. I attended SUNY at Stonybrook Dental School and received a post doctoral Certificate in Periodontics in 1993. I attained the highest level in my field in 1999 by becoming a Board Certified Periodontist. I was privileged to have learned from some of the finest educators in Dental Medicine. They prepared me for not just my professional endeavors, but to relate to future patients with care and empathy. I have an unquenchable desire to continue my learning and training meaning that I continually search for ways to stay well informed and current on all of the dynamic developments in Periodontics. I attend several seminars each month for continuing education which enables me to share this with my patients. I am an active member of several professional associations, and I am currently the Director of the local study club group. The involvement gives me the chance to exchange information and ideas with my peers about our practices. I learn something from these meetings every time, and it allows me to share it with my patients as well. 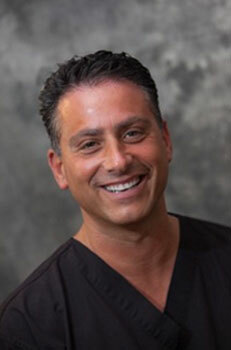 I’ve been practicing in Bergen County for 25 years, providing my patients with dental implants, periodontal plastic surgery and basic periodontal needs. I’m committed to serving you and yours as if they were my own.